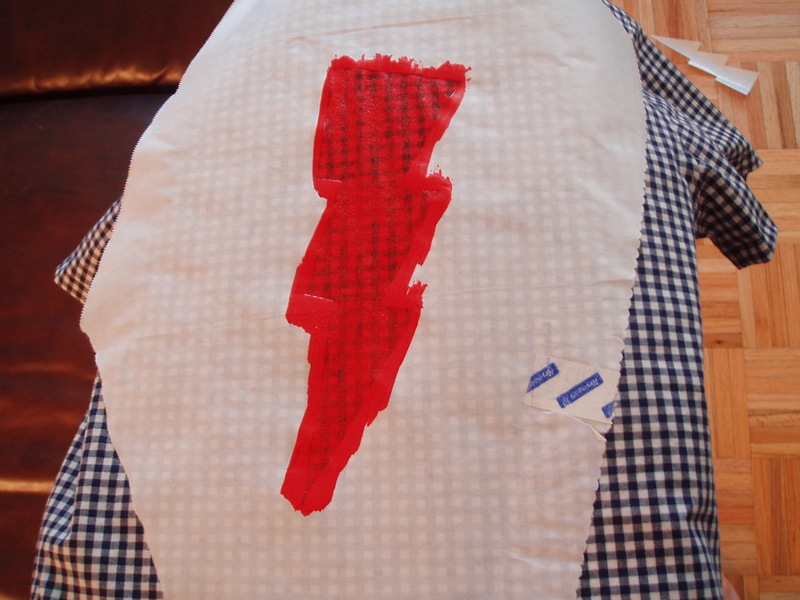 ← When do you sew? This entry was posted in Beginner, Crafting for others, Gifts, Kwik Sew, Pattern Review, Sewing, Shirts/Blouses. Bookmark the permalink. This came out so cute! You are so talented to see designs and patterns and use them in interesting ways. The thunderbolt was a great “He-man” touch 🙂 You have probably just given him his life-long motiff. 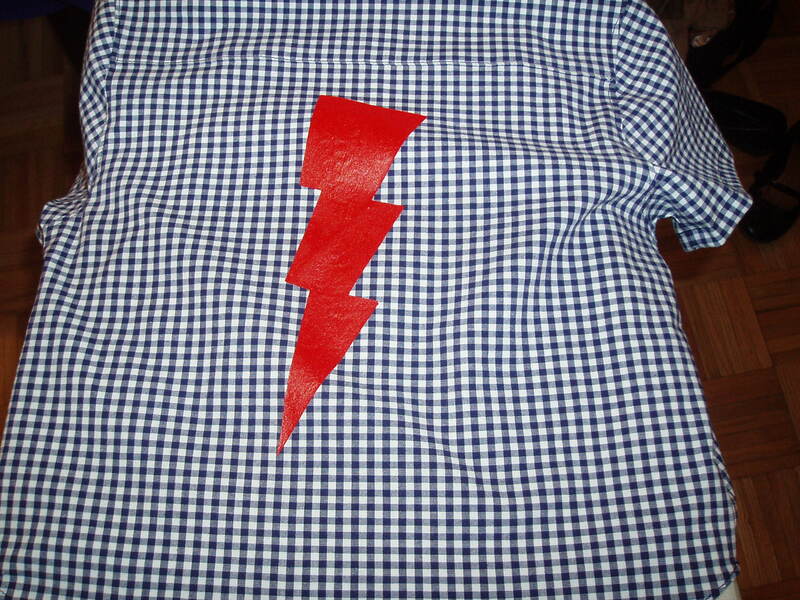 The shirt is lovely and you’ve really made it your own style by putting the red thunderbolt on the back. Super for a 2 year old boy! Waiting to see the wrap dress. I can’t believe that is your first collar and stand. It looks fabulous. What a great gift. He’s adorable and his shirt is wonderful! Congratulations! Wow, Elizabeth – if David Coffin says your collar looks good, I think you’re definitely out of the beginner category!!! 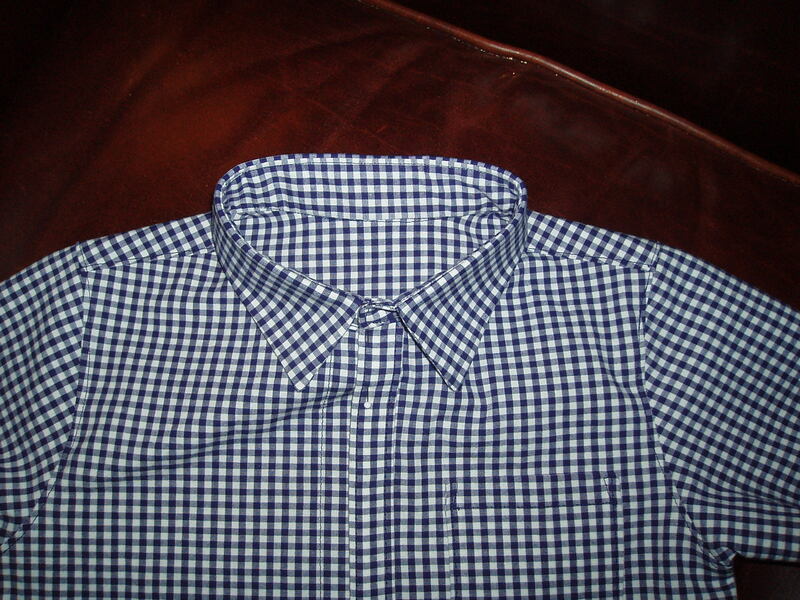 Great shirt – the collar does look perfect (along with the rest of it.) Good luck with V8379 – I made that last year with good results and wore it to work one day last week. I had thought to myself that I should make another one as I liked it more than I remembered. Awesome! I loved it. It looks very professional. E ~ that is just tooooo cute! What a fantastic shirt you have made. The model looks very cute. I really liked your nice detailed review too. As I have two little boys, I will have to go look at this pattern (even though I haven’t made a collar on a stand yet, either). So adorable! It looks very crisp and professional. It really does look fantastic… great work!! Thanks for the inspiration… I’m really going to get back in to it… I AM. PERIOD. Cuuuute! 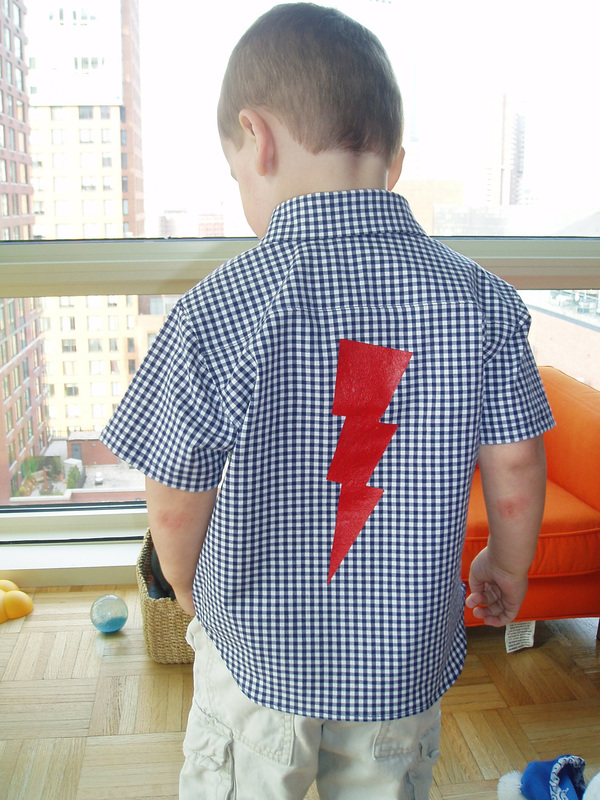 Love the lightning bolt, what a lovely personalized touch. Nice work!! WOW. this is just adorable beyond words! you did such a great job. 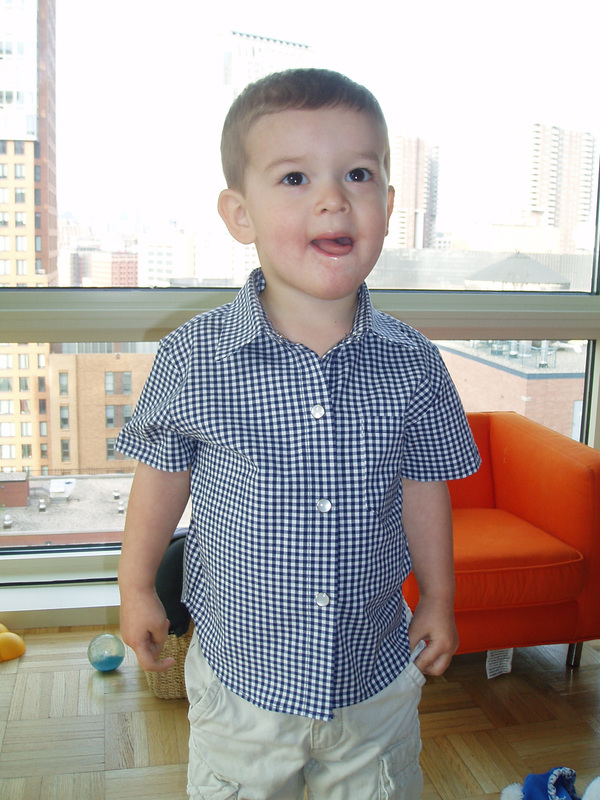 May I just say…cute as a button. And EXcellent collar and stand! You may not see this, but I am attempting this very shirt in the same size, although I am doing it in white. I have gotten stuck when attaching the front to the yoke. The instructions led me to believe that you place the front piece in between the front and back yoke before you stitch, but it doesn’t look right to me. Any suggestions?